If you're looking for an amazing sports car with plenty of power on and off-road finesse, check out the all- Nissan 370Z. The Nissan 370Z is a thrilling ride that has plenty of power under the hood to leave all the competition in the dust! The 2016 Nisan 370Z is the perfect car to take out for a night in town. 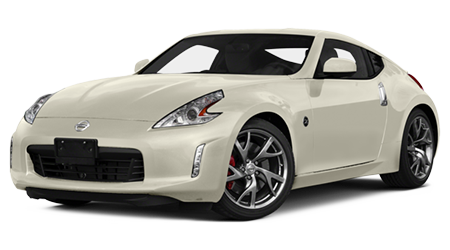 At Premier Nissan of Metairie, you'll have the opportunity to purchase the 2016 Nissan 370Z for an amazing price. Premier Nissan of Metairie is located at 6636 Veterans Memorial Blvd. in Metairie, LA and serves the following cities: New Orleans, Gretna, Laplace, Mandeville, and Harvey, LA. 2016 Nissan 370Z has a starting MSRP of $29,990. The MPG rating on the 370Z is 18 city / 26 hwy. The 2016 Nissan 370Z has a wide selection of features and amenities you'll love. From the moment you step inside to the moment you leave, you'll grip the steering wheel hard as you zip through traffic and the open road. There are six models to select: 370Z, 370Z Sport, 370Z sports tech, 370Z touring, 370Z Nismo, and 370Z Nismo tech. Exterior colors include black cherry, brilliant silver, deep blue pearl, gun metallic, magma red, magnetic black, pearl white, and solid red. The interior color has a black cloth. The 2016 Nissan 370Z comes equipped with a 332HP 3.7L V6 engine with 6-speed manual transmission or an optional 7-speed automatic transmission with manual shift mode, paddle shifters, and downshift rev matching. Features include 18" aluminum-alloy wheels, full-size spare tire, automatic on/off headlights, high-intensity discharge bi-functional xenon headlights, LED daytime running lights, LED taillights, Z fender emblems, aluminum hood, doors and hatch, body-color dual power outside mirrors, dual exhaust finishers, one-touch hatch release, UV-reducing solar glass, and a rear window defroster. The trim on the 2016 Nissan 370Z 8-way power driver's seat with power lumbar support, 4-way power front passengerÕs seat with entry/exit switch for rear passenger, heated front seats, dual individual rear seats, leather wrapped steering wheel / knob, and aluminum-trimmed pedals. When you purchase a premium 2016 Nissan 370Z, you're purchasing more power, luxury, and efficiency. The premium 370Z comes with a 350HP 3.7L engine. Standard features include 19" wheels LED illuminated Z side marker emblems, aerodynamic body design, Body-color dual power heated outside mirrors, and dual exhaust finishers. Interior features of the premium models include Nissan 370Z include a 7" VGA touchscreen monitor with voice recognition and navigation, rearview monitor, optional Bluetooth, NISMO tachometer, active noise cancellation, active sound enhancement, Auto-dimming rearview mirror, Bose audio system with eight speakers and dual subwoofers, DVD video playback, and XM radio. Standard safety features in the 2016 Nissan 370Z include Nissan advanced air bag system with dual-stage supplemental airbags, driver and front passenger front/side airbags, roof-mounted curtain side-impact supplemental airbags, vehicle dynamic control with traction control system, blind spot warning, rear cross traffic alert, optional predictive forward collision warning, optional forward emergency braking, 3-point ALR/ELR seat belt system, front seat belts with pretensions and load limiters, lower anchors and tethers for children, zone body construction with front/rear crumple zones, hood buckling creases and safety stops, Pipe-style steel side-door guard beams energy-absorbing steering column, and a tire pressure monitoring system with easy-fill tire alert. You can count on Nissan for having amazing safety measures on their cars! When it comes to an amazing sports vehicle, you'll love everything about the 2016 Nissan 370Z. From all the amazing features offered to the speed of the car, the 2016 370Z can do just about anything. Come to Premier Nissan of Metairie today for an amazing joyride! Premier Nissan of Metairie is located at 6636 Veterans Memorial Blvd. in Metairie, LA and serves the following cities: New Orleans, Gretna, Laplace, Mandeville, and Harvey, LA.